How Far is Gee Ge Glitter? 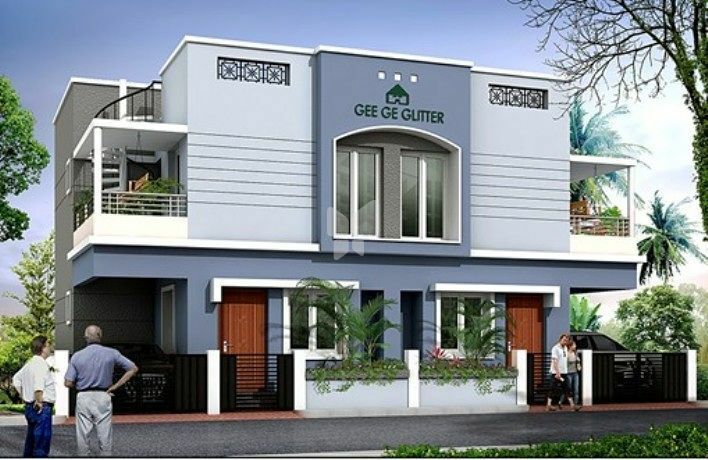 Gee Ge Glitter is a ready to move in residential project located at Sri Metha Nagar Extension, Kundrathur, near Peace on Green Earth Public School. 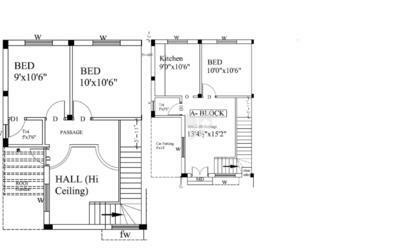 The project offers 3BHK Semi Independent House designed with basic amenities. Walls:Brick Panel wall plastered with cement mortar. Note: If any change in flooring the difference amount will be collected at the time of tile laying. Doors:a) Main Door-Teak Wood Frame with Solid wooden Door, Bedroom Door – laminated wooden Door. b) Toilet doors - Syntax doors. M.S.Grill for safety with good quality Aluminium fittings. Kitchen:Modular Kitchen with Stainless Steel Sink. Ceramic Tiles dadooing 3’0” height above platform two taps (Waterman or Nik taps). One for sump water and other for Bore well water. Toilets:Ceramic Tiles for flooring and Glazed tiles for walls upto 7’0” height. Bathroom Wall & Flooring Tiles @ the cost of Rs.28.00/- Sq ft.
Common Toilet:One white Parry ware I.W.C / E.W.C. Attached Toilet:One white Parry ware E.W.C. with flushing system. One white washbasin with chromium plated Tap & one C.P.shower and two taps. (Waterman or Nik). Electrical work:Fully concealed Orbit wiring.